Flyclops has been heavily involved in the game-dev and general technology communities in Philadelphia for over a decade. Through coworking spaces like IndyHall and Philly Game Forge, and sponsoring communities like Philly Game Mechanics, Flyclops remains actively and intimately connected to the tight-knit developer community in Philadelphia. Philly Dev Night grew into Philly Game Mechanics, a charitable organization focused on supporting game development and indie game enthusiasts in Philadelphia, PA.
"Our mission is to host game related events, provide networking opportunities, offer resources, and create a safe environment for creative people of all skill levels." Flyclops is a sponsor of Philly Game Mechanics, and one of our founders is an active organizer of the group. 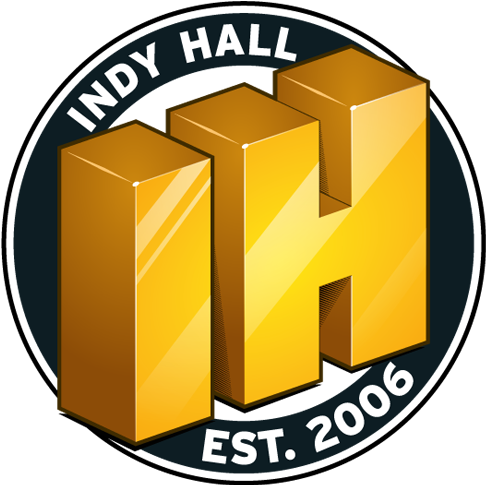 At least one member of Flyclops has been an active member of IndyHall since the day it opened its doors in 2006, and continues to be so to this day. "[IndyHall is] a community of people who choose to work together, more productively, to make our work, our lives, our cities and communities better." Flyclops was founded at IndyHall, and called IndyHall our home twice in our history. We continue to hold memberships for all employees of Flyclops, and consider IndyHall to be a part of our DNA. 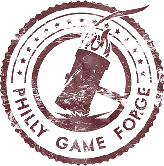 Flyclops was a founding member of Philly Game Forge, the first coworking space dedicated to game developers in Philadelphia. Some of the finest (and most awarded) game companies shared space, including Cipher Prime, and Final Form. It was an exciting, electric time for indie game studios in the only top 10 city in America without a AAA game studio. Flyclops called Philly Game Forge our home until last year, when we grew into our own office space, in a shared building with Wildbit, a company that had shared space with us years before at IndyHall.